But the tomb robbers had already experienced, seasoned meetings with other reanimated corpses wrapped in bandages, they immediately put a curse on a Bun, which by the way was very friendly establishment and I just wanted to make friends. The protagonist found himself in the ring, and in which it will run constantly dodging obstacles appear. To do this, change the external and internal side of the endless road. The main difficulty Mummy Runner is that it is very easy to get confused where you are, and jump right in front of the totem. Along the way you can pick up a bonus in the form of shield that will protect just from this trouble. 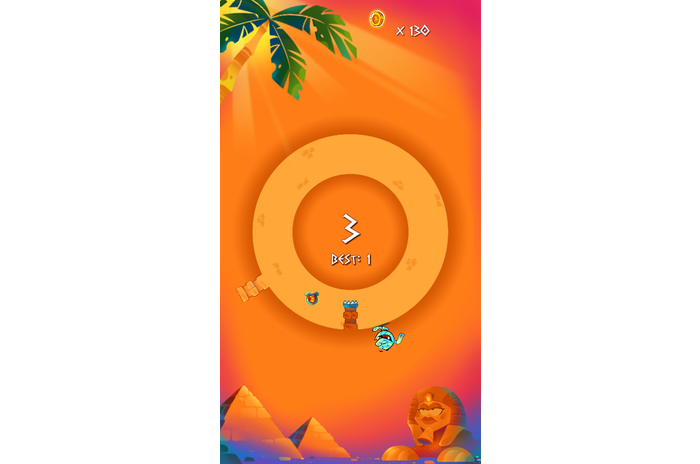 The game has nice graphics and a simple but fun gameplay that will have fun your free time in the company of charming and cute mummy.